Solid 3.5 out of 5, but it’s a bit of an odd read – for reasons stated in the video. If you’re a content producer of any flavour, you need to read Content Rules by CC Chapman and Ann Handley. If you’ve read part of this book, perhaps the first chapter through Amazon or the like, and dismissed it as more fluff and cheerleading over content marketing – you obviously didn’t read the entire book. If you’ve read the entire book, and haven’t done anything with the massive volume of information in it, you’re obviously missing the boat. Content Rules is making me reconsider some of my personal content strategy. It’s also making me rethink the advice I give to clients – not only about blogging, but about creating other content as well. I’ve never produced a podcast, written an eBook or a white paper, or created a Webinar. I’ve done video – as above – but I’m not the best at it yet. The Skinny on the Book: You need to diversify your content. As I said in the video – barriers to entry for business on the web are falling at an alarming rate. It’s easy enough to set up a Blogger or a WordPress.com blog – or even a simple WordPress.org website and start tossing up content about your business. Getting images on the web is really easy with Flickr, Picasa and other photo sharing services. The ease of use of current web tools have made the idea of “having a website” more of a stepping stone than a destination for most businesses. And, when everyone’s got something, how does getting that thing help your business? It doesn’t – unless you’re using it better, and doing more interesting things with the tool. By all means – get a good looking website, have a great design, match your web branding to your other branding. These are givens. What isn’t yet a given (meaning you can win if you do it) is having better content than your closest competitor. Having a more interesting blog, better videos, more engaging webinars, and more entertaining and informational ebooks and white papers. Building a business position on the web involves some consideration. Not every tool in this book will help you in every aspect of your content marketing work – some businesses just aren’t right for webinars, or white papers. Some are perfect for it. What Content Rules will help you do is identify which cases fit which content type, and what to do with the content you’re producing to make it more effective in those perfect-fit cases. The Skinny on The Authors: Why you should care about them. C.C. Chapman has been doing content work for a number of years – he’s produced a variety of podcasts, worked on interactive marketing campaigns, and delivered some great talks. If there’s a better advocate for content marketing and strategic content creation, I don’t know who they are. But wait – there’s also Ann Handley, Chief Content Officer at Marketing Profs, who produce a massive volume of information aimed at helping marketers do a better job on the web. Ann’s a fantastic resource for content marketing information on her own – nothing said of Marketing Profs as a group. The online seminars they produce are some of the best available, and everything from their blog to their ebooks shines as examples of content done right. I’ll be keeping Content Rules as a reference book – and I think every web content producer ought to have their own copy as well. A few months ago, I built a social media study curriculum called Connected Commerce 101. Content Rules is part of that curriculum, in the section on New Media Production and Publishing. The books I mentioned in the review video are also all part of Connected Commerce 101 – check out the book list, more reviews will follow to fill out the remainder of the list and – of course – if you have any recommendations to add to the course (or, which might become part of a new course), send them my way by way of comment on either this blog post, or on the Connected Commerce 101 page itself. Viewing this on a feed, or having trouble seeing the video? See the original article, or watch the video on YouTube. The NOW Revolution is one of those books that’s approachable by a broad audience, applicable in a wide variety of situations, and instantly appealing from page one. These three qualities alone make it worth buying. There’s a lot about this book I liked. However, there was one thing that stuck out as a little weird. Throughout the book, there are an array of Microsoft Tags – proprietary QR codes – which direct the reader to further meta-data about the book. While I think this is perfectly appropriate for the book’s subject, it’s a choice made on behalf of the audience; to get everything the book has to offer, you’ve not only got to be savvy enough to understand how, when, and why the Tags are there (they are explained in the beginning), but also be willing to install an app on your smartphone to read the tags themselves. I delayed doing so, in fact, in order to finish the book quickly and not rabbit-hole in the meta data. Despite this hiccup, The NOW Revolution picked up the ball where other, more theoretical books left it off. The book really begins to shine, though, around Shift 3. By the time you’ve built the bedrock of your new business, and found some talent you can trust, you’ll be prepared to organize your new armies to do good in the world. You should go buy The Now Revolution: 7 Shifts to Make Your Business. It’ll help you really dig into setting up the scaffolding you need in order to make the most of the current, super-connected business landscape. If you’re still struggling with the idea, read Six Pixels of Separation and Trust Agents first, in that order. Once you’re done those, and have the NOW Revolution well studied, read Inbound Marketing. Disclosure: I got the book through the authors’ blogger review promotion. I was sent two copies of the book, on the proviso that I review the book (good, bad or ugly) and give one copy away in an interesting way. I believe in using social tools for social good. So, I want to see how much good can be done by means of social media. Leave a comment here. I’d like to hear your ideas for how we can make businesses smarter, faster, and more social. In particular, I’d like to know what you think of using social business for social good. Is your business involved in charity of any kind? What do you think of using your wattage as a business to benefit social causes? If you’re in a position to make this kind of action through your business – will you? Or, if not, why? The winning comment will also have a donation made for the cost of the book, to the charity of their choosing. Now. What can we do with this social media thing? One of the tricks about building a good library is finding books at every level of expertise. For new media workers, this couldn’t be more important – we all have varying degrees of skill in the ten or fifteen areas we need to approach regularly in our jobs because, let’s face it, none of us is “just an SEO” or “just a blogger.” With so many of our skills being relatively new, and so maleable to the moment of their use, we not only need books that address multiple levels of skill across a variety of disciplines, we also need material that’s at once precise in its detail, and timeless in its theory. Inbound Marketing: Get Found using Google, Social Media and Blogs is exactly the right mix of these attributes. The book focuses on the wide-funnel approach new media tools are allowing businesses to use to grow. The premise, that many businesses now have the ability to grow simply by making themselves available on the web, is a big deal these days – and it’s working for a lot of people. Using new media tools, companies like Zappos and foundations like Wikipedia (both featured in the book) have done amazing things; in addition to building business or awareness, they’ve participated in a fundamental cultural shift. The Pitch, as it was even five years ago, is no longer the only way to get customers. The secret is now (as it always has been, but for different reasons) to Be Remarkable. Each chapter in the book tackles a range of subjects from simple definitions of blogging, social media, and inbound marketing theory – all the way up the chain of specificity to customer conversion on blogs, landing page best practices, and picking PR agencies. The format really appealed to me – definition, reasons behind the benefits of whichever subject was being looked at, followed by a case study highlighting a great example of people doing it right. This practicality worked quite well, lending a sense of education, and the feeling of action-ability to each subject. In fifteen pages, Halligan and Shah take the reader through the entire cycle of effective blogging – from design needs to article development. It’s an impressive feat, especially since the information is approached from a universal best-practices direction. And that’s just blogging – there’s so much more in this book. Search Engine Optimization (SEO), Social Media marketing, what skills to hire for when searching for marketing professionals, choosing and measuring PR agencies… The range of subjects isn’t just fit for a marketing professional, much of this information could be used by anyone doing online work – and should be! Web designers could benefit from understanding how marketers use conversion tools and metrics. Programmers who understand the needs of bloggers could help develop better systems. Inbound Marketing is an interesting read. The presentation is highly textbook-like in its instructional tone, but Halligan and Shah have a dynamic writing style that keeps interest for longer than any instructional text I’ve ever read. The subject matter at once applies to beginners looking for an understanding of basic online marketing theory – and provides insights for intermediate marketers as well. Experienced web professionals may find themselves a little under-informed by this book – but I’d still heavily recommend it as a reference, especially when looking to communicate at a more introductory level. In short; Inbound Marketing belongs on the reference shelf of every online professional, because of its no-nonsense approach to very complicated subjects. The broadness of its information means the book itself will remain relevant for some time. I say; buy it if you haven’t already. 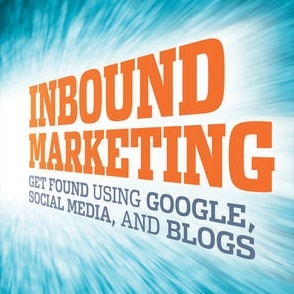 Get Inbound Marketing: Get Found using Google, Social Media and Blogs by Brian Halligan and Dharmesh Shah from Amazon. Small Update: This book has been revised and updated as of 2014 – but I haven’t read the new version yet, so I can’t endorse it in detail. I’ll probably read it eventually, and a link to any future book review I do of that edition will go here when and if it is written.